ALLEGRA BOVERMAN/Staff photo. 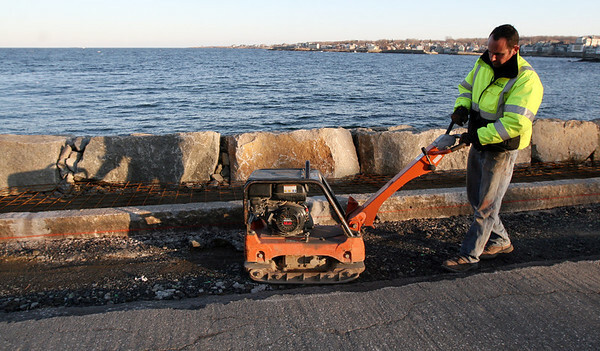 Gloucester Daily Times.Rockport: Jon Miller of Miller Golf Construction of Beverly prepares the ground for asphalt for a new sidewalk and curb along Beach Street in Rockport on Tuesday afternoon. He was also patching the road and his company also rebuilt the seawall, which had been crumbling.